Sales of the Apple iPhone have fallen hitting the tech giant’s financial performance. 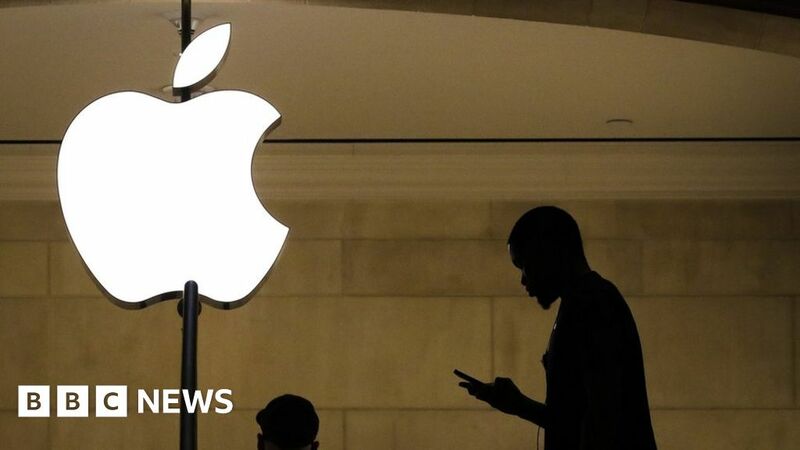 The firm’s revenue fell 5% from a year ago to about $ 84.3bn (£64.5bn) in the most recent quarter, with iPhone revenue down 15% to about $ 52bn. The stumble had been expected after the tech giant warned investors earlier this month that revenue would be about $ 84bn, lower than expected. Executives have said they remain confident that growth in its services business, which includes Apple Pay and the App store, will drive future performance. Revenue from the services business jumped 19% to a record $ 10.9bn in the quarter, which ended on the 31 December. “While it was disappointing to miss our revenue guidance, we manage Apple for the long term, and this quarter’s results demonstrate that the underlying strength of our business runs deep and wide,” said Tim Cook, Apple’s chief executive. Apple’s share price has dropped by around one third since October, amid investor concerns that buyer appetite for iPhones is weakening. Those fears intensified after the firm said it would stop reporting the number of iPhones, iPads and Macs it sold each quarter. However, the firm’s shares gained almost 4% in after-hours trade on Tuesday, as the firm proved more resilient than feared. Apple said quarterly sales dropped by more than 25% in its Greater China region, which includes Hong Kong and Taiwan, compared to the year before. They also slipped about 3% year-on-year in Europe. Apple’s struggles are not unique. Global smart phone shipments contracted 5% in 2018, according to Canalys, a market analyst firm.